ESO Supernova Exhibition — Where is life possible in the Milky Way? Where is life possible in the Milky Way? For life to start, you need organic molecules and planets. For life to survive, you need a relatively quiet cosmic environment, which can probably only be found in some areas of the Milky Way: this is called the galactic habitable zone. Green zone: The Milky Way's centre is too energetic for life as we know it; the outer regions contain insufficient heavy elements. In between is our galaxy's habitable zone, marked green in this image. 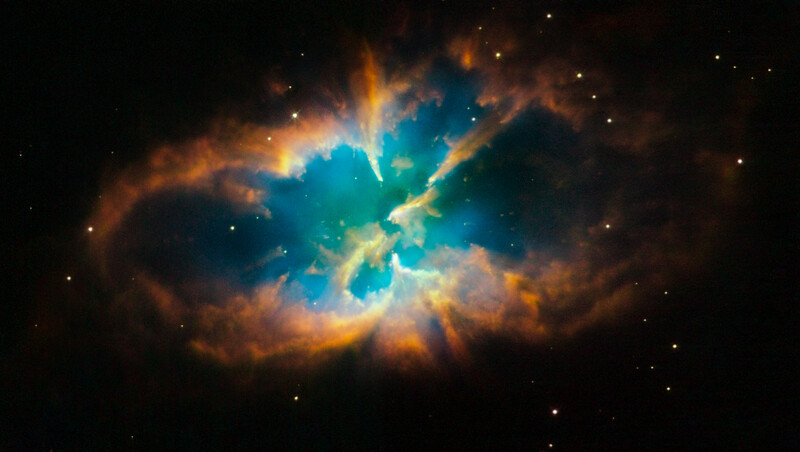 Carbon Factory: Dying stars shed their outer layers into space, forming planetary nebulae. In this way, the Milky Way is seeded with atoms like carbon and oxygen - two constituents of organic molecules. Double-edged sword: Multiple supernova explosions have blown bubbles in a nearby dwarf galaxy. Supernovae produce some of the building blocks of life, but they also sterilise already inhabited planets in their neighbourhood. Nobody knows how common life in the Milky Way is. The basic building blocks of life, including carbon, are produced inside stars and blown into space by planetary nebulae and supernova explosions. 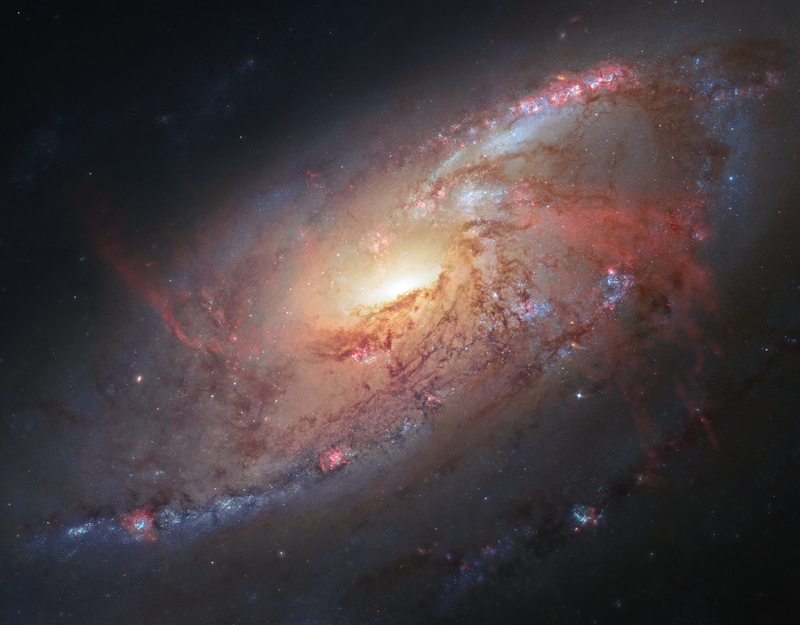 Some theories suggest that life may well be restricted to a broad galactic habitable zone. Closer to the Milky Way's centre, energetic events like supernova explosions may be too common to allow life to evolve. Closer to the edge, there may not be enough heavy elements around for the formation of Earth-like planets and living organisms. 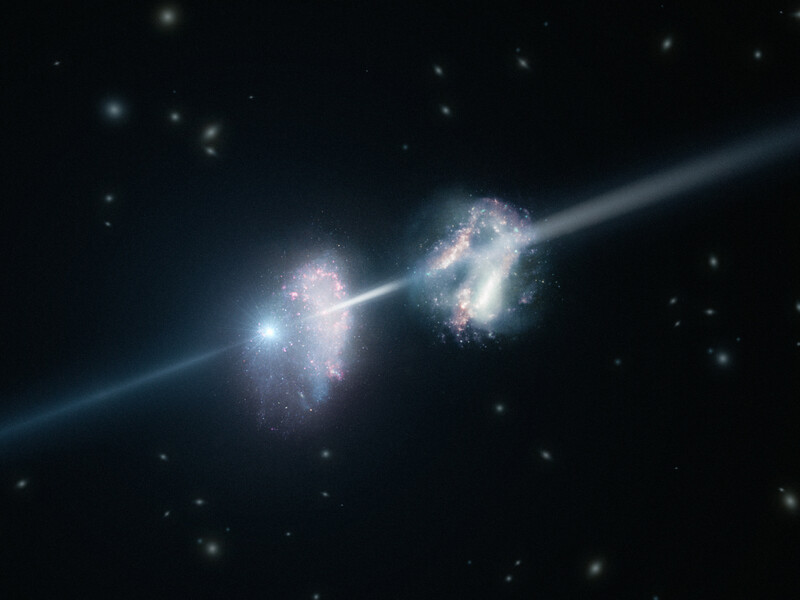 Lethal explosion: The energetic radiation of a powerful gamma- ray burst in one galaxy (left) could even kill off life on a planet in a nearby neighbour galaxy. Elemental conditions: Our Milky Way galaxy contains various stellar populations. Earth-like planets - and life - can only form if there are enough heavy elements around. If Earth was close to the Milky Way's centre, we probably wouldn't exist. If it was at the Milky Way's edge, we wouldn't either. Life may only be possible in a broad region in between.